Before the days of DNA analysis and automated fingerprint comparisons, crime scene investigators had to rely of their own cunning and skills with minimum help from technology. CSI Old School follows the true story of the Illinois state police’s first female crime scene investigator. It had been an unusually slow on-call weekend. It was Saturday night, April 7, 1979….I had no way of knowing that, within minutes, my life would be turned upside down. Following my next call, I would spend nearly one month “in the field,” followed by additional months of processing evidence recovered from the scene, hundreds of hours in trial preparation and three trials spanning nearly fifteen years, before I would have closure from one of the most physically and emotionally draining cases of my career. The usual pre-arrival thoughts filled my mind as I drove those fifty or so miles. I spent much of the drive mentally reviewing procedure, as well as calming my mind in preparation for projecting clearness and calmness upon arrival – especially since I suspected that the emotions of others on the scene would be running high. 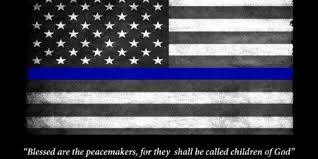 As I drove, I tried not to guess what I was going to find, and I had no knowledge of who the victim was, or what the trooper’s involvement had been. When I was within a couple miles or so of the scene, my mind went temporarily blank with disbelief. Immediately, I knew this was not going to be a simple – or even routine – scene, even compared to most death scenes. The otherwise darkened night sky was ablaze with red, blue, and white pulsating lights that seemed to go on for miles. As I drew closer, I realized that they did go on for miles – in what appeared to be every direction. It was approximately 10:21 p.m., as I officially drove into a nightmare of epic proportions. 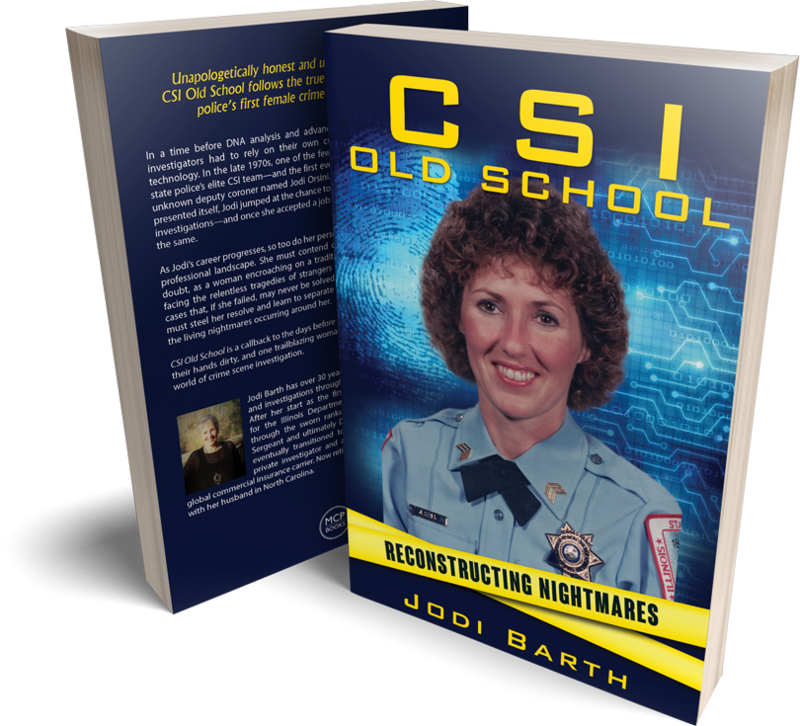 CSI Oldschool is available for $16.95 through various online retailers or through www.jodibarthcsi.com.